Our one wizard form, with interactive features and hints, completes three applications through a single form, saving both time and money. Our integration capabilities links to ASIC and the ATO to complete a Corporate Trustee, SMSF and ABN Application seamlessly in a single process. Our smart intelligent technology only requests information once to pre-fill and create an application, avoiding duplication of data entry. Error Checks and smart address prompts by linking with the ASIC and ATO database ensures complete accuracy in the entire application process. 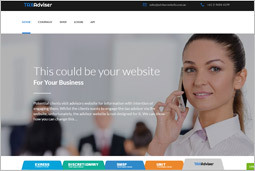 If you would like to provide a range of services to your clients using our state of the art platform , you can easily do that by integrating your website with ours. We use the latest iFrame technology which allows seamless integration and superior user experience for your clients. 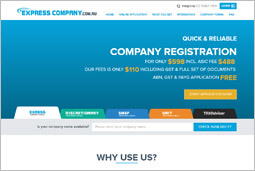 Our state of the art technology enables you to instantly create a Corporate Trustee, SMSF Trust deed and get an ABN/TFN Registration in just a few simple steps. You can access all your legal documents and the pre-populated free admin templates anytime from your dashboard. Click Here to see exactly how it works. We instantly email all legal documents you require for your SMSF and Corporate trustee. We will get your corporate trustee registered with ASIC and also pre-fill your ABN application. We can also deliver professionally bound copies for an extra cost. Our trust deed covers situations for pensioners seeking to commence non-lapsing BDBNs to tax dependents or nominate a new reversionary beneficiary without commuting the old pension. Our deeds are in line with the OSR requirements, which allow members to make in-specie transfer to the fund at concessional rates of duty as per Section 62A of the NSW Duties Act 1997. Our deed complies with the latest updated GS 009 guidelines recently issued by the AASB in September 2015 relating to SMSF audits. As a user, you will have access to all our Free Admin templates, such as minutes for rollback of pensions and reconciliations, which comes pre-filled with basic information from your application to save time. Our trust deed complies with the latest borrowing rules as per the SIS Act. For e.g. it allows dismantling of the bare trust as a result of repayment of LRBA loan, as per new Section 71 (1) (f) of the SIS Act. 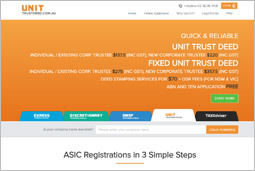 To avoid any unnecessary duplication of data entry, our server’s link to ASIC to provide a single application process to register a special purpose corporate trustee as part of the SMSF set up. Using latest technology, our application form also pre-populates the ABN application form and enables you to quickly lodge your both your ABN and TFN application, saving you a great deal of time. 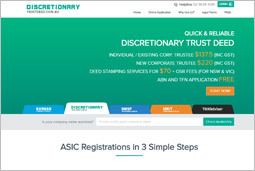 For a special price of $220 (plus ASIC fees), you can virtually accomplish the entire SMSF set up process, including Corporate trustee of the SMSF, SMSF trust deed and also apply for ABN and TFN registration.